Playing music well can be difficult for anyone, especially those with certain disabilities. 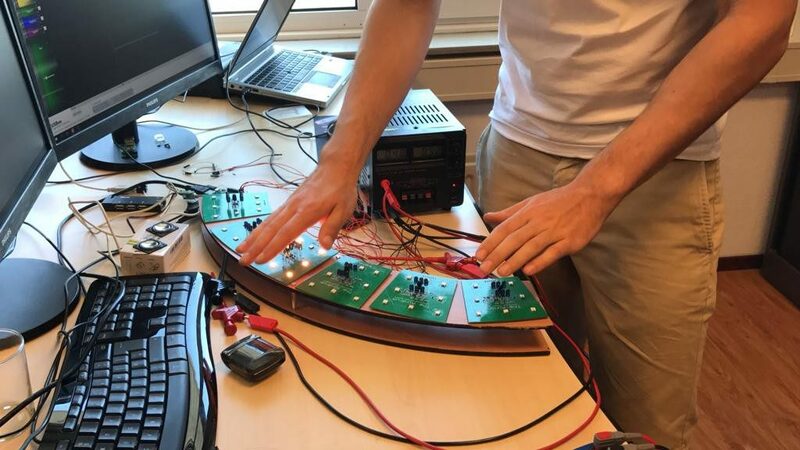 To make this form of self-expression easier for everyone, Alessandro Verdiesen and Luuk van Kuijk built the Airdrum—an IR sensor-based instrument that is played simply by the wave of a hand. 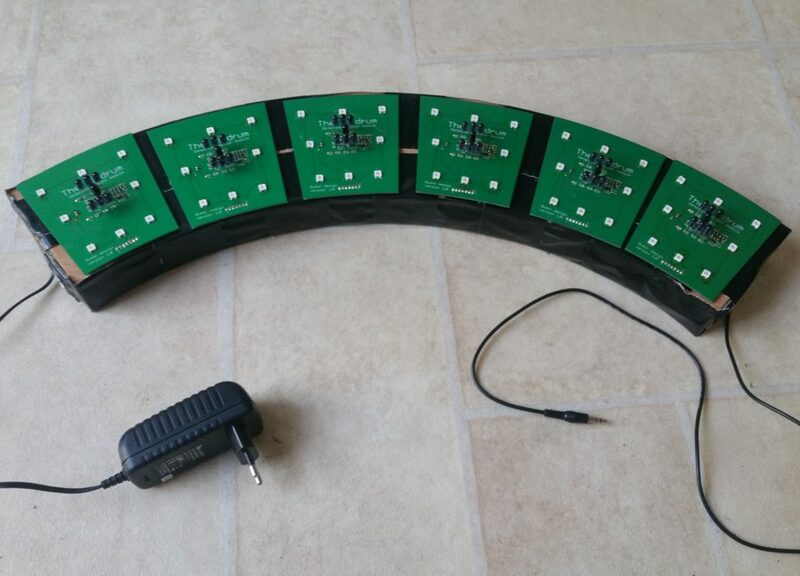 The Airdrum uses six individual sensor boards to detect when a hand is present. This input is then processed via an Arduino Uno and passed along to a Raspberry Pi to produce individual tones. People with multiple severe disabilities often encounter the difficulties of playing a music instrument due to their mental and physical deficits. Health care institutions which facilitate housing, learning opportunities and day care for these people often encounter the difficulties of communicating with their clients. These institutions experienced that making music together is a great way of communicating and therefore many institutions offer music therapy. According to music therapists, the main goal is having fun. It is proven that people learn more when having fun. When playing an instrument, clients can share emotions and practice their motor skills. We have designed a musical instrument which is easy and fun to play, not just for people with severe disabilities, but for everyone: the Airdrum. The Airdrum is a small device containing panels with motion sensors and colored lights. When somebody moves their hand or head above the panels, they light up and they play sound. The device, as shown in the demo video, appears to still be a work-in-progress, but has all the functionality needed to play a simple tune with RGB LED feedback.